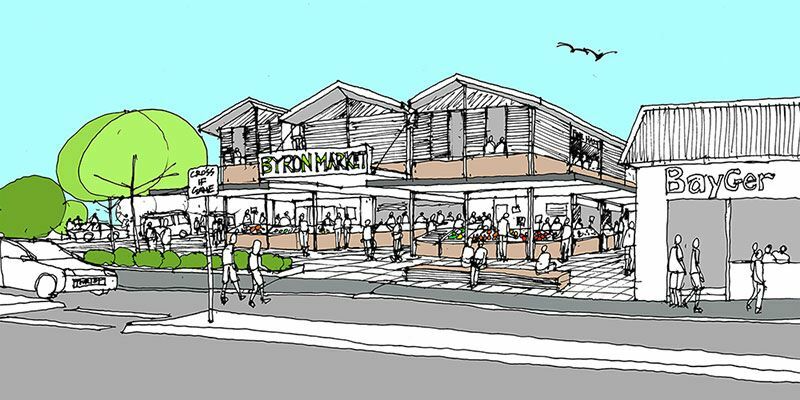 Last night I made a presentation to Byron United (The Byron Bay Chamber of Commerce), with some ideas that could be considered in the Town Centre Masterplan, which is currently being prepared by McGregor Coxall (with the help of several other consultants). 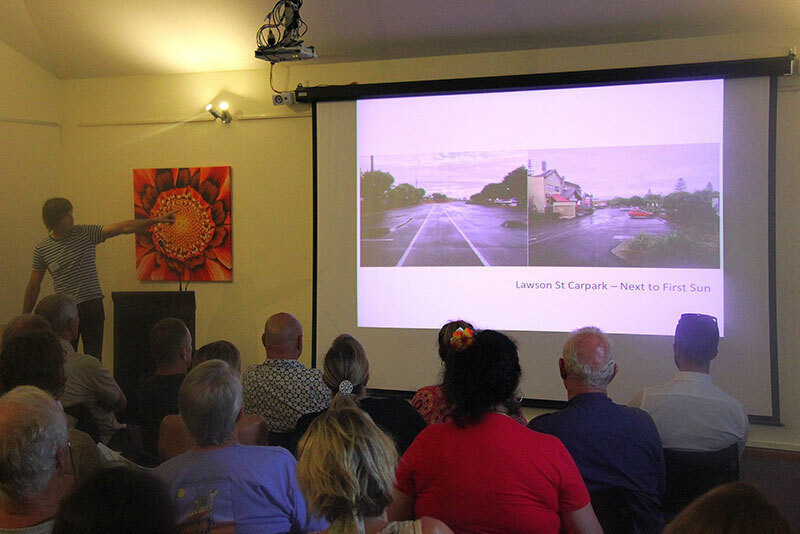 The presentation was aimed at generating some discussion amongst members of the local business community. 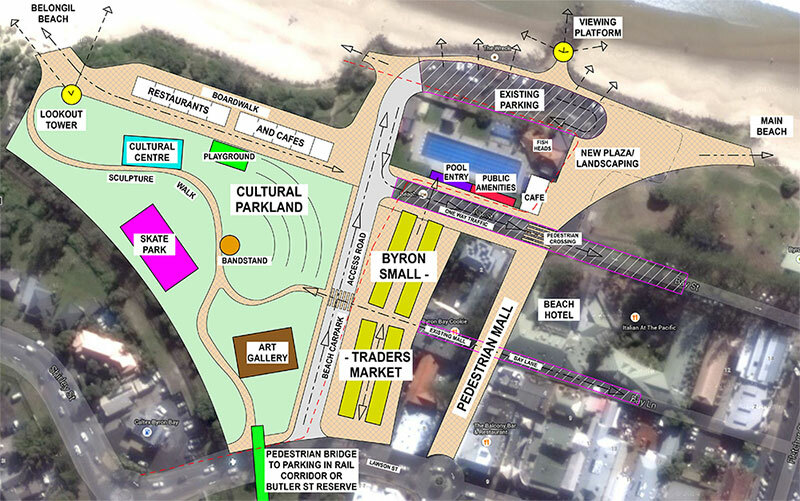 An opportunity exists to Pedestrianise the top end of Jonson St, but retain (some of) the existing beach front parking, which I believe to be an important part of the ‘Byron experience’. 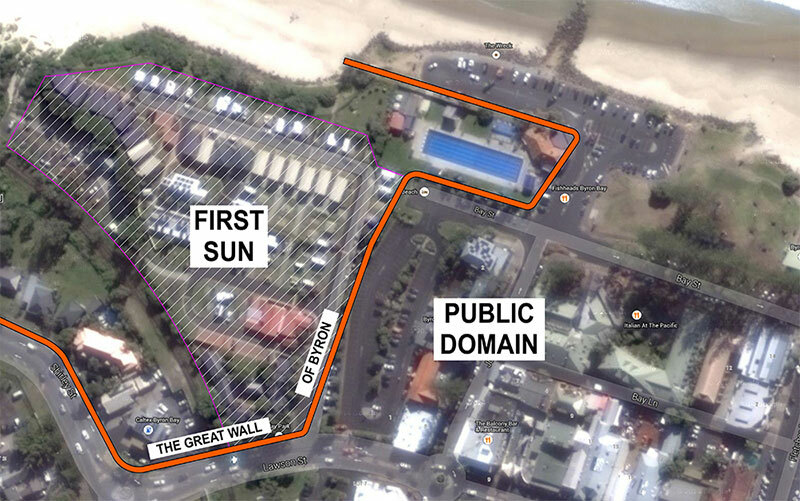 Access to the existing carpark could be provided utilising the existing First Sun entrance road (or accommodated on the western edge of the market site).